What Can a John Deere G-Series Skid Steer Offer Customers? 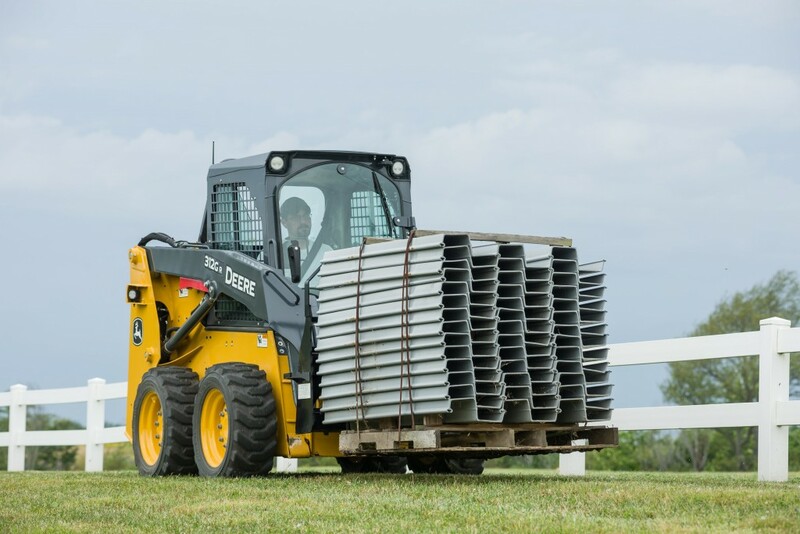 In an effort to improve uptime and reduce operating costs for customers, John Deere announced four new Final Tier 4 G-Series Skid Steers on Feb. 12. Every John Deere G-Series Skid Steer has an optimized boom design that allows for lift heights up to 10 feet. “With the addition of these new G-Series models, John Deere now offers a full line of skid steers and compact track loaders to meet the quality, performance and price point needs of today’s customer,” said Gregg Zupancic, product marketing manager, John Deere Construction & Forestry. Let’s take a look at some of the features and benefits you can expect from a new John Deere G-Series Skid Steer. The vertical-lift design on the 314G, 317G and 318G machines give operators all-around visibility above and below the boom. This allows for easy grading in tight spaces. The radial-lift option on the 312GR and 316GR provides operators with an exclusive one-person boom lockout system for safety, which can be activated from the cab. The lift system on these machines are designed for low maintenance and optimal digging performance. Customers will be able to work all day long on a John Deere G-Series Skid Steer, thanks to its powerful engine. The 316GR, 318G and 317G all have 24 percent more horsepower than other G-Series machines. Additionally, they have 11 percent more fuel capacity than previous models. With Yanmar Final Tier 4 engines, these steers can help operators accomplish more in a shorter period of time. The operator stations of the new John Deere G-Series Skid Steers are designed for the utmost comfort. Similar to the E-Series machines, they have swing-out cab doors for wide-open entryways, allowing for easy entrance and exit. More legroom and foot room also make the steers enjoyable to use over an extended period of time. The cabs and floors are sealed and pressurized, meaning noise and dust will never be an issue for operators. Every John Deere G-Series Skid Steer has easy-to-use controls, which can be customized to the liking of the customer. Enhanced joystick controls can be switched between ISO- and H-patterns. On the 316GR and 318G, operators can also choose between standard foot and hand controls, or hands-only controls. The design is meant to be simple, reliable and durable. This means that even entry-level customers can confidently utilize the machines. For more information on the John Deere G-Series Skid Steers, contact your local John Deere dealer or visit www.Deere.com.